After Saudi Arabia beheaded a 54-year old Indonesian grandmother in June for stabbing her Saudi employer to death, Indonesia declared a moratorium on the migration of its nationals for domestic employment in the desert kingdom, effective August 1. Although the two countries were to adopt a bilateral agreement for protection of Indonesian domestic workers in Saudi Arabia this year, no such document has been signed. Ruyati Binti Satubi, a household worker from West Java, was executed for murder after she confessed slaying the man who had contracted her. The Indonesian migrant, who has three children, said she killed her employer because she was denied permission to return to her native land. Media in Indonesia and elsewhere indicated that Ruyati Binti Satubi had been subjected to other forms of abuse while working in the Saudi home, located in Mecca, Islam's holiest city. Neither the Indonesian authorities nor her family was informed of the death sentence until after it was carried out, an action for which the Saudi regime apologized to Jakarta. Indonesian President Susilo Bambang Yudhoyono wrote in protest to Saudi King Abdullah after the execution, and the Indonesian authorities followed up with the moratorium on exporting laborers, enforced visibly at airports and through contracting agencies. The beheading of Ruyati Binti Satubi was only the most recent in a series of shocking cases involving Indonesian domestic workers in Saudi Arabia. In April, Saudi authorities overturned a three-year prison sentence against a 53-year old Saudi woman in Medina, for "torture" in the beating and burning of her 23-year old maid, Sumiati Binti Salan Mustapa. That incident, like the execution of Ruyati Binti Satubi, caused widespread protest in Indonesia, as well as increased reluctance to undergo the risks of working in Saudi Arabia, which Indonesian workers described as "horror stories." Indonesian media report that the flow of migrant workers to the kingdom had already decreased by 30 percent in the first quarter of this year. With imposition of the August labour embargo, Indonesia was expected to lose $350 million worth of income. 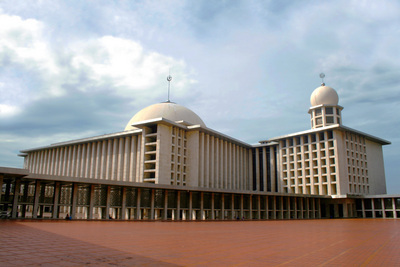 Some 20 Indonesians, mainly women, are said to face capital punishment in Saudi Arabia. Indonesian officials say that 370,000 of their citizens went to work in Saudi Arabia in 2010. Of these, more than 90 percent are employed in the so-called "informal sector," that is, paid in cash, without record-keeping or government oversight. British media state, however, that 1.5 million Indonesians are working in Saudi Arabia. Complaints of physical abuse and murder of Indonesian domestic servants by Saudis have produced hundreds of cases, but like other emigrant labourers in Saudi Arabia, Indonesians have no rights. Indonesia had imposed new regulations on the employment of emigrants to Saudi Arabia, under which the Saudi employee would be required to earn at least $2,800 per month, and the number of family members and layout of the residence would be registered. Because of the rigid oversight of relations between family and non-family members as dictated by Wahhabism, the Saudi state form of Islam, the kingdom has one of the highest proportions of immigrant laborers in the world; they currently account for 5.5 million out of 26 million people, or 20 percent. Foreign observers describe the Saudi demand for foreign housemaids, drivers, and similar employees as inexhaustible. Saudi subjects are discouraged from such work. Millions of Pakistanis, Indonesians, Filipinos, South Koreans, and Sri Lankans receive low wages, when not subjected to outright slavery and extreme abuse, while toiling for Saudi masters. Domestic and other low-skill workers live apart from the Anglo-American, other European, and similar foreign technicians who serve the petrochemical and other advanced industries, and who reside in segregated, protected communities that seek to reproduce the conditions in their advanced countries of origin. While no religion other than Islam is permitted public observance in Saudi Arabia, foreign petrochemical and defence professionals are allowed to hold Christian and other services within their homes. But Christians, Buddhists, and Hindus from the Philippines, South Korea, and Sri Lanka are prohibited from practicing their faiths; and even Pakistani and Indonesian Muslims who work in Saudi Arabia face religious discrimination. For example, preaching in South and Southeast Asian languages in mosques and similar activities are forbidden, as are Sufi observances, popular in Pakistan and Indonesia alike. No other Muslim state imposes such restrictions. Nevertheless, many Muslims are lured to work in the kingdom because of its religious prestige. With 86 percent of its population of 245 million counted as Muslims, Indonesia has the largest Islamic population of any country in the world. Indonesian domestic workers earn about $200 per month in Saudi Arabia, a wage superior to those an Indonesian migrant villager with a primary-school education would be paid in the east Asian industrialized nations, such as Japan or Taiwan. At the beginning of August, the official Saudi Arab News announced that two Indonesian women sentenced to beheading would be reprieved and repatriated. Identified only by their first names, Emi was convicted of killing her employer's child, and Nesi of using "black magic" against her employer. Executions for alleged "witchcraft" are common in the kingdom, which has experienced recurrent panic over "sorcery."